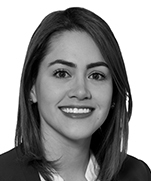 Diana is an associate in the Firm’s Public Law, infrastructure and Dispute Resolution groups. She obtained her Postgraduate Diploma (PGDip) Specialization in Public Procurement and Master of Laws (LLM) with emphasis in Public Law. She has worked for the public and private sector, as well as for other law firms, giving legal counsel and representing public entities and private companies on matters related to Public Law and public procurement. She is author of publications and lecturer in Public Law matters, and has been involved in the financing of Fourth Generation (4G) concession projects, as well as in the drafting and revision of concession, PPP and work contracts, and related due diligence processes. Cititrust: Advising Cititrust (as Onshore Collateral Agent) in the financing for US$472 million, of Costera Cartagena-Barranquilla concession, in charge of the construction of the 4G toll road Cartagena-Barranquilla and the bypass around Barranquilla, known as Circunvalar de la Prosperidad. Citibank N.A and Cititrust: Advising Citibank and Cititrust (as executor and co-executor, respectively), in the financing for CO$686 thousand million and US$136 million, of the Alto Magdalena concession, in charge of the construction of the 4G toll road Girardot – Honda - Puerto Salgar. Cititrust: Advising Cititrust (as Onshore Collateral Agent and COP and Liquidity Administrative Agent), in the mixed financing for COP$520 thousand million and US$250 million, of the Autopista Conexión Norte concession, in charge of the construction of the 4G toll highway Conexión Norte. Strabag: Advising as in-house legal counsel of the Company, in a confidential due diligence process about infrastructure and PPP, and legal counsel on related matters. Ministry of Justice: Drafting and revision of contractual documents for the structuring and performance of prison projects in Antioquia, Atlántico, Nariño, Valle del Cauca and Bogotá. Confidential client: Advising foreign companies on the structuring and submission of ‘Private Initiative’ PPP projects before ANI for their approval in the stages of pre-feasibility and feasibility. Ministry of Culture, Colombian institute of Family Welfare (ICBF), Medellin Public Companies (EPM), Colombian Institute for Foreign Education Loans (ICETEX), Caro y Cuervo Institute, Infrastructure Secretary of Antioquia, Gobernación del Magdalena, Education Secretary of Bogotá, among others: Advising and assisting on public bids. PPP Law: Drafting of the unconstitutionality claim against the paragraph of article 8 in Law 1508 of 2012 about PPP. Ministry of Justice: Drafting and revision of Resolutions and Decrees about: action for the protection of fundamental rights (acción de tutela), Peace Agreement, qualified register for professional programs in Law, among others. Lewis Energy Colombia Inc: Advising the oil company in the drafting of the contract for the provision of natural gas to Gas Natural S.A. E.S.P. Confidential client: Drafting of the agreement under which some mine titles were established as a security for the payment of a loan of US$6.3 million. Mercuria Energy Trading S.A.S. : Advising on the due diligence for the acquisition of Andes Energía PLC, focusing on the analysis of E&P contracts. Ministry of Justice: Advising and drafting of the Model Regulations of Arbitration for the Online Resolution of Disputes concerning movable guarantees. Universities: Advising on fiscal liability proceedings and sanctioning proceedings of Law 1740 of 2014, and legal counsel on university autonomy. Likewise, legal counsel to a foreign university on its incorporation as an Educational Institution in Colombia. 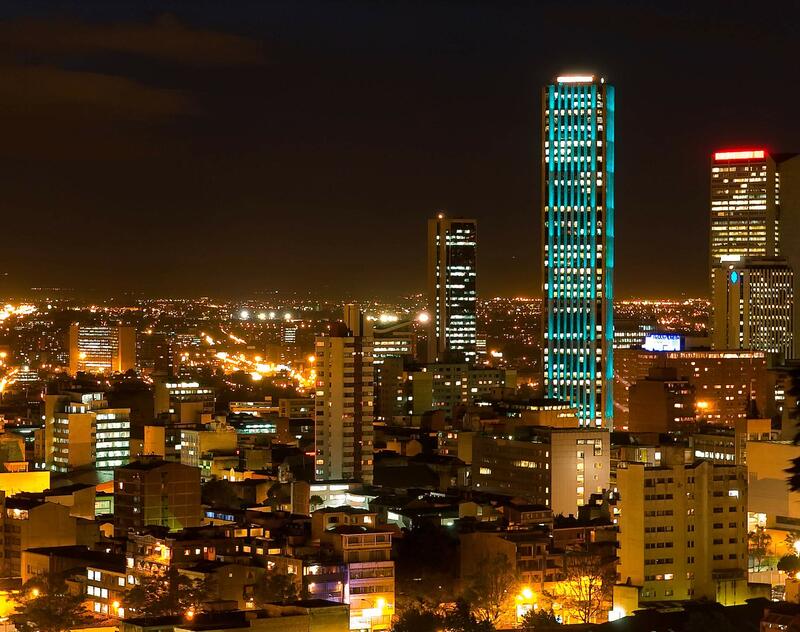 Confidential client: Advising on national and investment arbitration and the enforcement of movable guarantees and expropriation processes in Colombia. Confidential client: Advising a well-known mining company in the drafting of an extrajudicial conciliation request against the Mining Authority. Legal counsel on mining issues from the perspective of Administrative Law. Assistance on the process to enforce public entities’ decisions that some regulations assumed to be created by their silence when the term to answer has expired. Confidential client: Counseling on the defense of several (infrastructure and education) companies in fiscal liability proceedings before different authorities, for amounts up to COP$2.884 million. Confidential client: Counseling national companies on expropriation processes against INVIAS and ANI.